Martichuski and Gillies are the only recipients from an Oregon university. Of the 1,200 applicants, 260 were selected to receive the scholarship. Martichuski and Gillies will each receive up to $7,500 for tuition, fees, and room and board for their senior years. More importantly, the two survived a rigorous application process to emerge with national recognition of their undergraduate research. Martichuski, from Salem, is a biology and human physiology major with a minor in chemistry. She works in professor Jessica Green’s lab in the Institute of Ecology and Evolution, where she is researching the diversity and temporal dynamics of fungal communities in the atmosphere. “I took a general chemistry class my freshman year from Andrew Marcus,” Gillies said. “I read one of his papers and went in to talk about it with him. That led to a spot in the lab and getting to work on this research. The trek to earning the scholarships started about a year ago when top students in math and sciences were encouraged by faculty advisors to apply for the Goldwater Scholarship, said Lexy Wellman, undergraduate education coordinator for the College of Arts and Sciences. Of the 25 who showed interest, 12 submitted applications in October to the UO’s selection committee, which is made up of a faculty representative from each of the eight science departments. Each school is allowed to submit four students. The four students selected by the committee worked with faculty advisors over winter break to write their research essays. 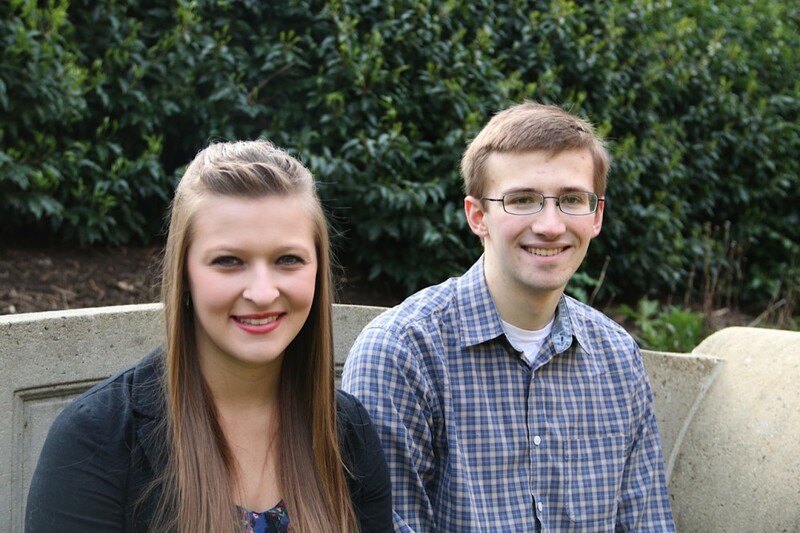 Both students plan to attend graduate school in their chosen fields.